After graduating from college with a degree in Public Relations, Abby Herman, a copywriter and content coach in the Phoenix area, spent the next 5 years working in that industry. However, she didn’t feel like she was making an impact or helping anyone. So she decided to get a teaching degree, and spent the next 13 years in the elementary classroom. As much as she loved teaching at the elementary level and being the school librarian as well, Abby began doing freelance writing which gave her the freedom to be with her daughter more and to earn extra income. After 6 years of doing both, Abby left the classroom to make a full-time living of freelance writing. When Abby first quit teaching, she didn’t have quite enough income to cover what she missed from teaching, so she spent the first couple of months working very hard to build up her client base and get some savings put aside to carry her over. A few months in though, it was necessary for her to make a huge mindset shift. She had to go from freelancer to business owner. The writing had never been a hobby for Abby, but she now had to call herself a business owner and be comfortable saying it. Leaving the tight schedule of a classroom teacher to work from home was quite a shock to Abby as well. But discovering that she was very introverted and actually enjoyed the peace and quiet of working from home, turned it into a big blessing for her. 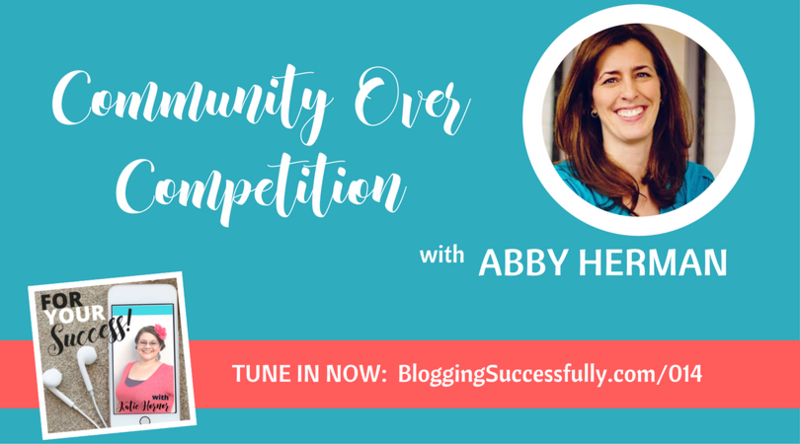 Abby had client work to do, but also needed to devote time to write her own content and to marketing her business. When finding the balance was a struggle, she hired a business coach to help her figure all of those things out. Going into business for yourself is not just about having clients and working from home. There are many facets to owning a business, and you really have to become a jack of all trades. You need to learn about finances, marketing, content creation, etc. While Abby is definitely an introvert, being alone and working alone all of the time can be hard. Making online connections has been key for her; not only as a way to have “people time”, but also as a way to grow her business. Most of her clients find her through Facebook groups or through referrals from Facebook groups. But when she first started really getting active in some groups, she noticed that one particular person was always being referred to anyone who needed copywriting. Abby wanted people to know that she was there, ready to work too! So she reached out to this other writer in order to get to know her. 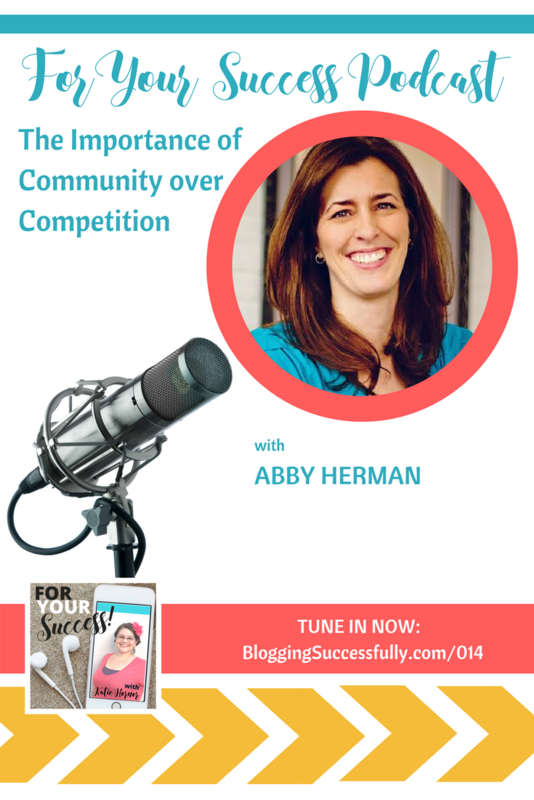 Abby believes very strongly in “community over competition”, meaning that everyone has different strengths, and we need everybody to make up the whole community. Getting to know this other writer and the differences between what they offer has helped them to grow a personal friendship and an organic networking opportunity. As Abby’s business grew, it was client feedback that helped her to see that she was finally making that impact she had wanted to make from the early days in PR. 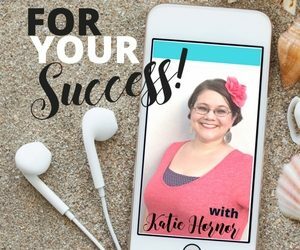 Hearing how much she helped her clients, how valuable her services were to them, the content she was providing…all of these things showed her that she was actually helping others to grow their own businesses. Not everyone can afford to do big launches for their business. Abby had to work a little bit at a time, working at her full-time teaching job while growing her side business into full-time work. You might have to take on jobs that aren’t your dream job if you need to pay the bills and put food on the table. But eventually, things will grow to the point that you can change your business model, you can charge higher prices, etc. Don’t compare your business to others. Everything doesn’t have to look perfect as long as you do good work and make a difference. inspiring my daughter to succeed in the things she wants to do. She encourages her daughter to pursue her passions, the things she enjoys; not to stress over a certain career. Careers can be changed. She wants her daughter to be happy, but not to seek after the money. Abby doesn’t have dreams of a 7 figure business. Rather, she believes that living a modest life, and doing the things she enjoys will make her feel successful. *We do use affiliate links whenever possible to keep this site and your educational experience ad-free. Read our full disclosure here. The #1 tool for converting readers to subscribers and viewers to buyers. 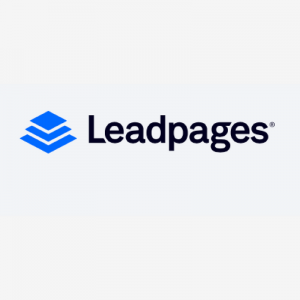 I love Leadpages* for their easy to use proven templates and the variety of opt-ins: pages, pop-up boxes, texting, etc. Using them I have doubled my list in 3 mo. time.